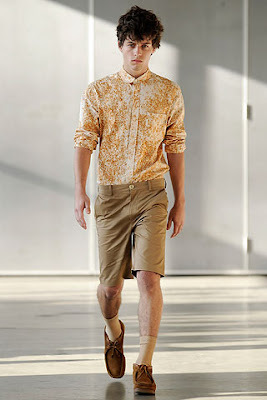 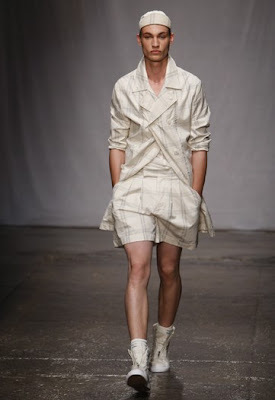 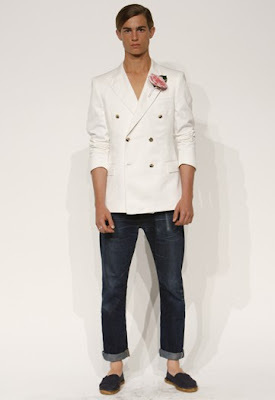 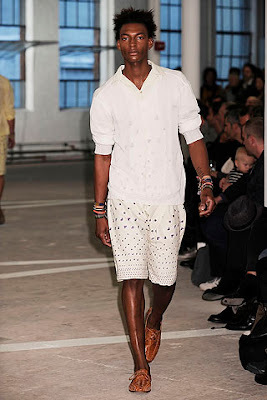 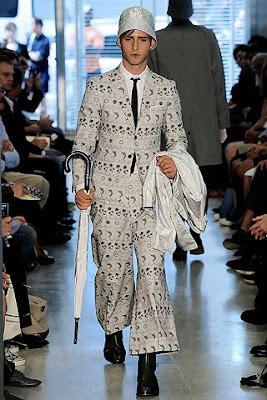 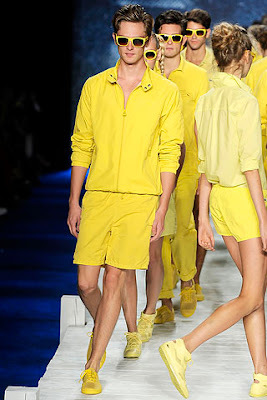 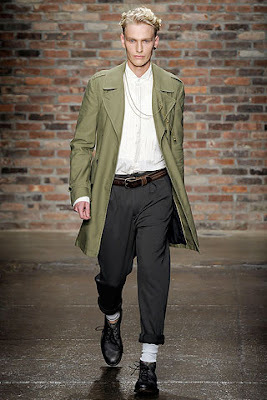 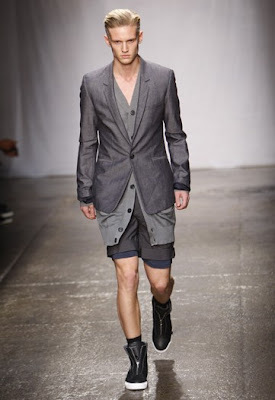 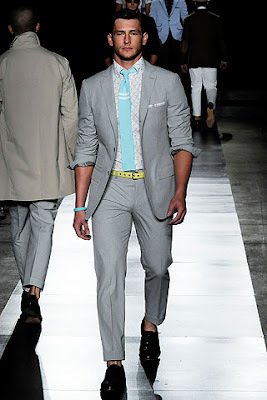 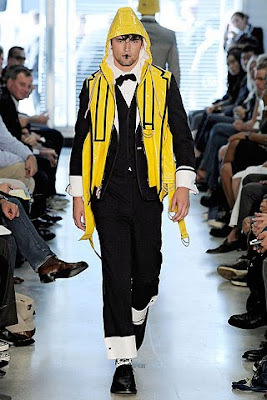 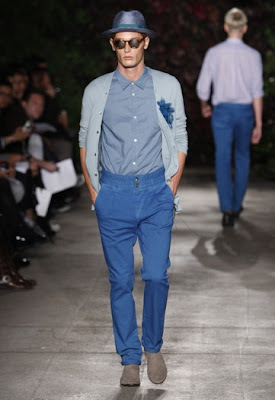 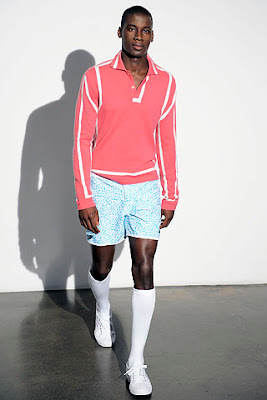 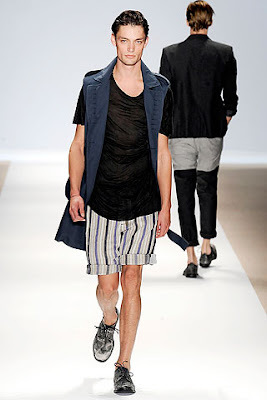 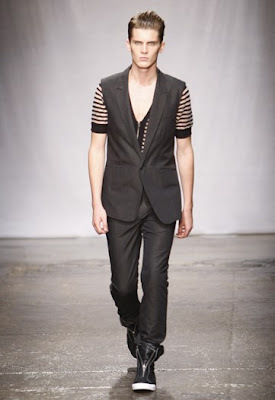 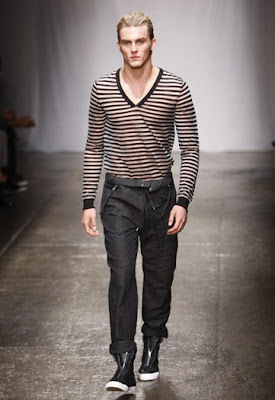 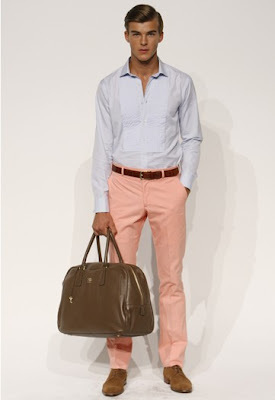 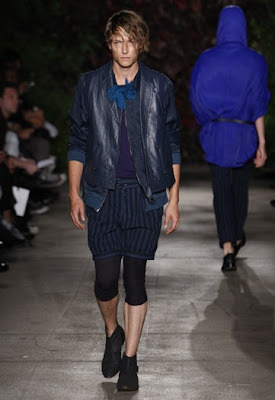 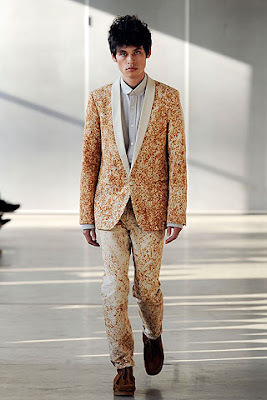 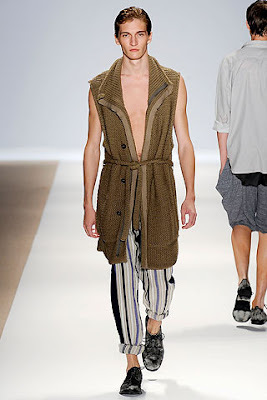 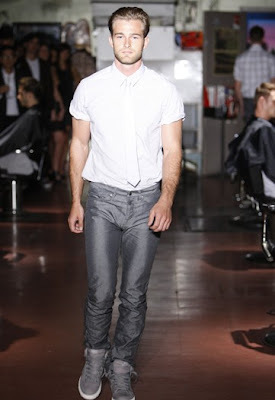 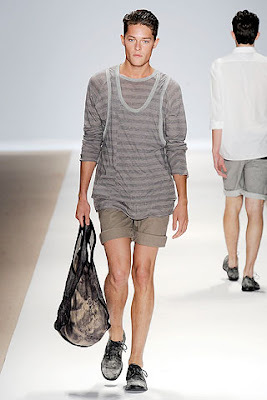 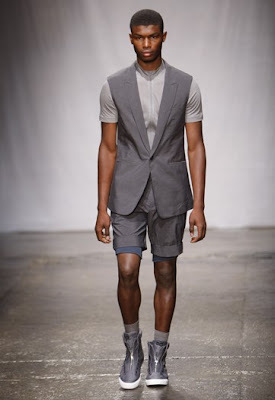 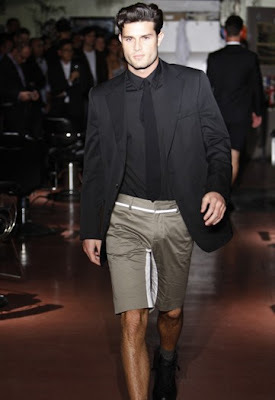 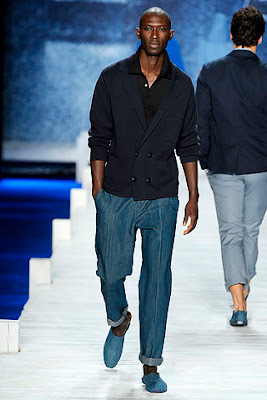 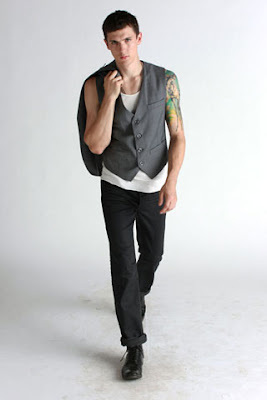 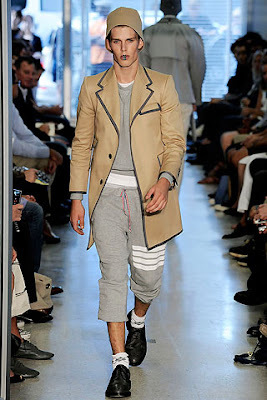 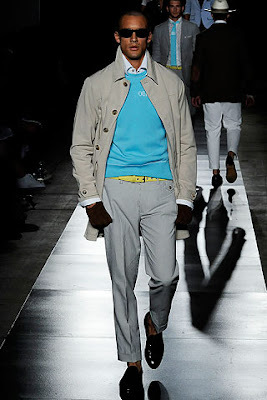 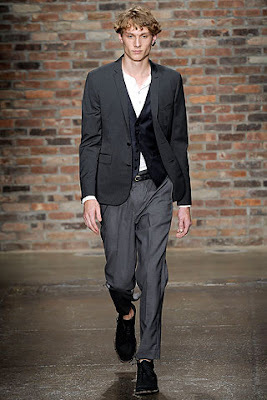 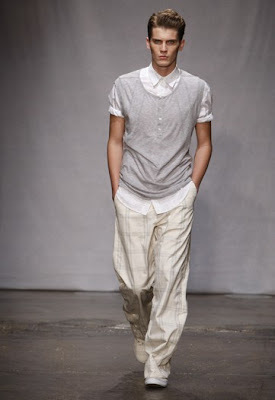 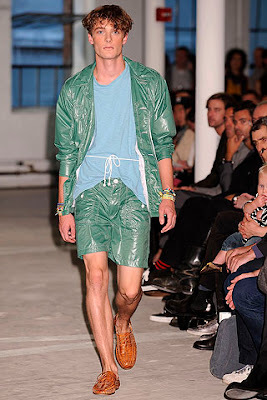 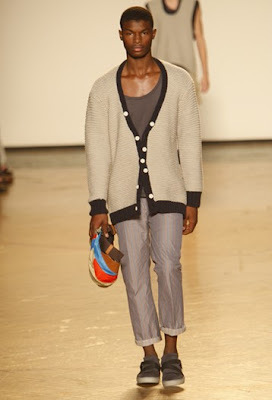 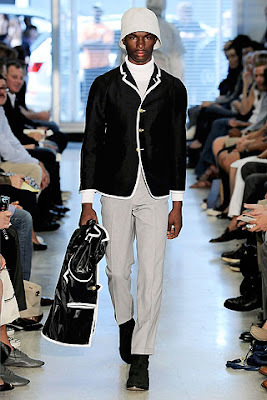 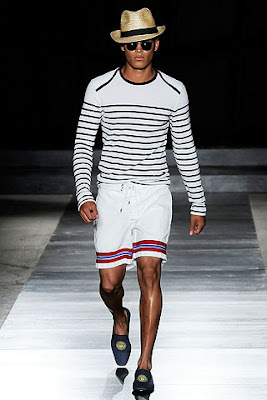 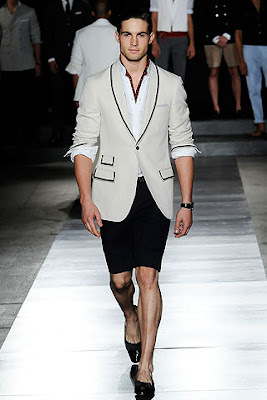 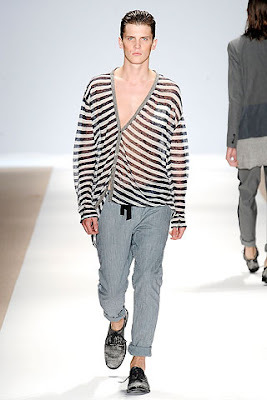 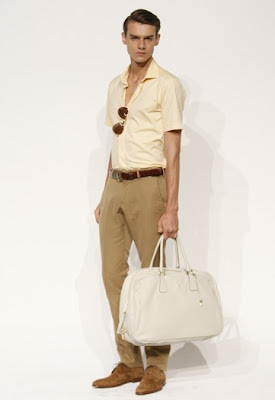 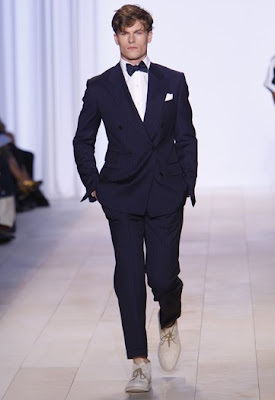 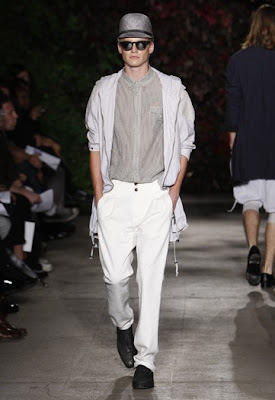 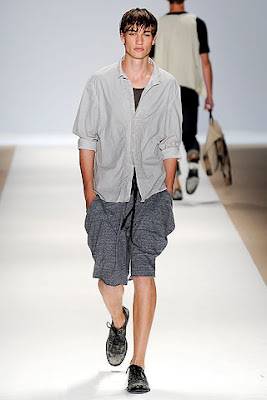 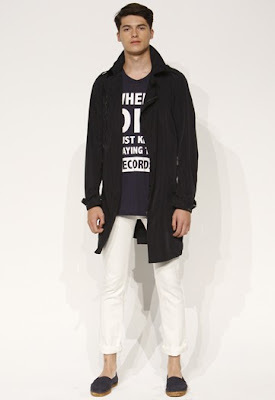 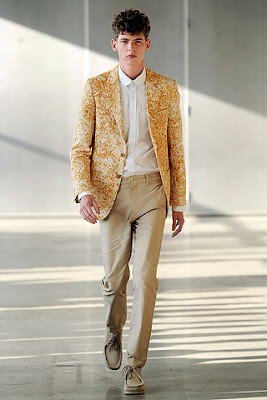 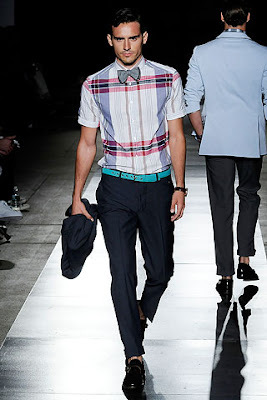 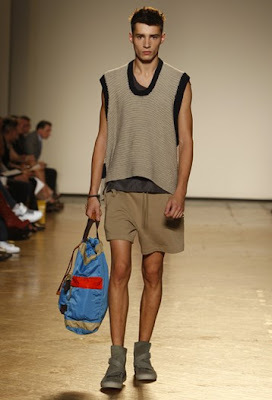 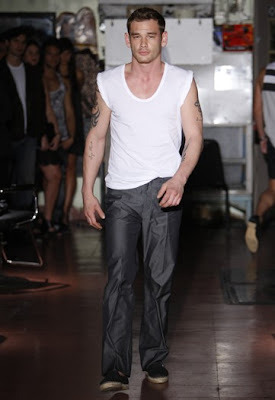 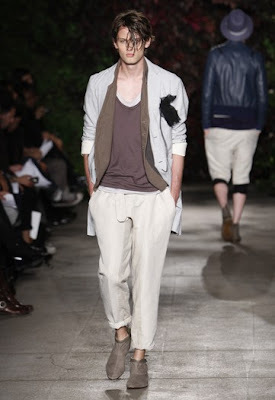 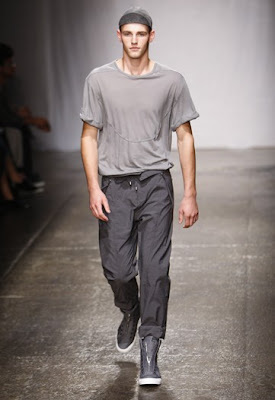 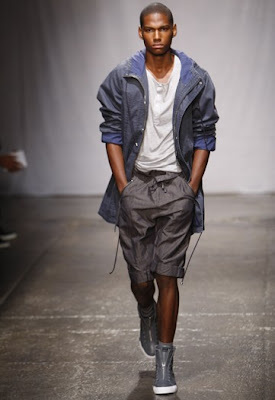 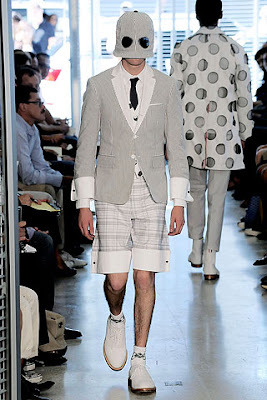 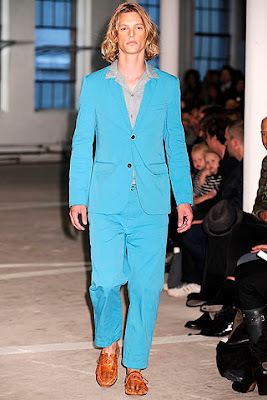 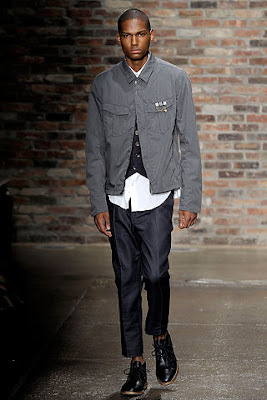 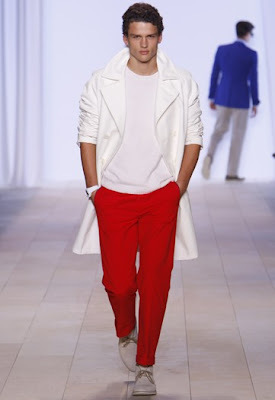 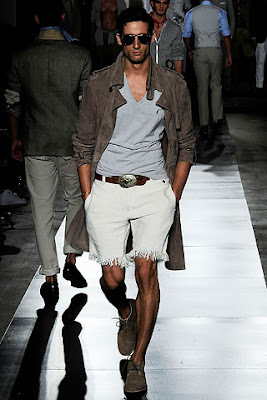 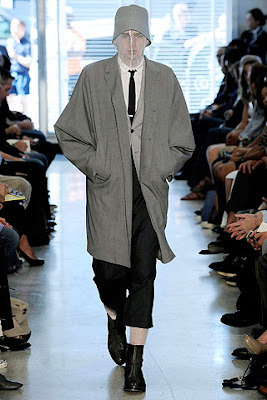 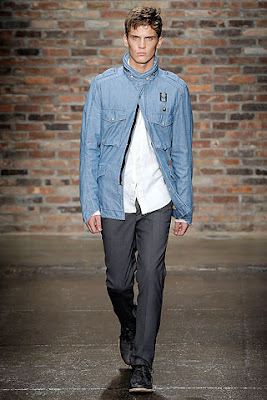 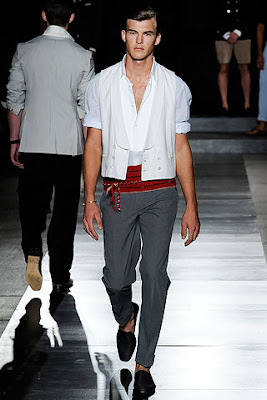 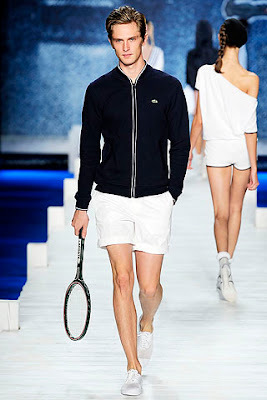 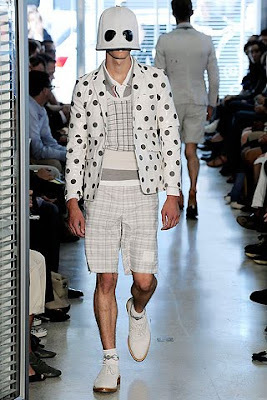 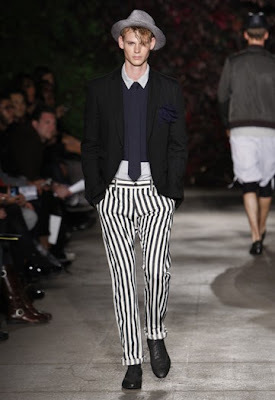 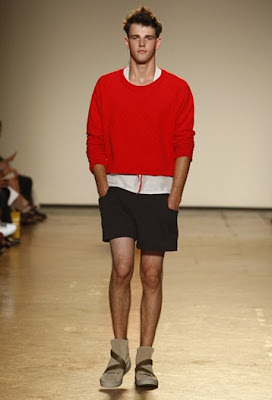 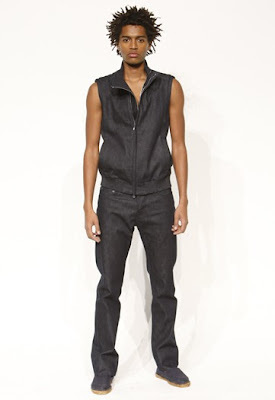 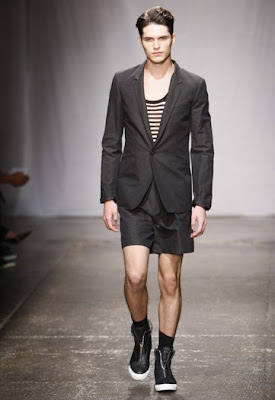 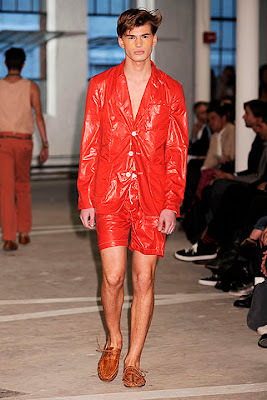 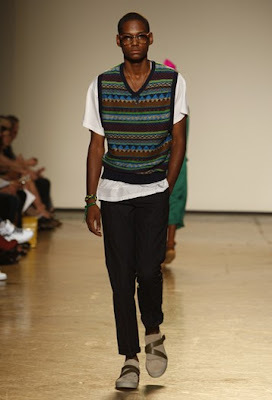 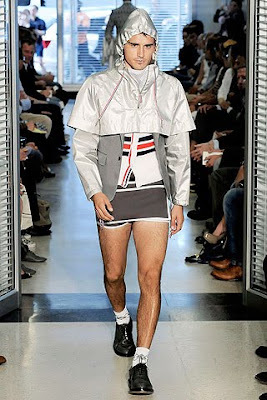 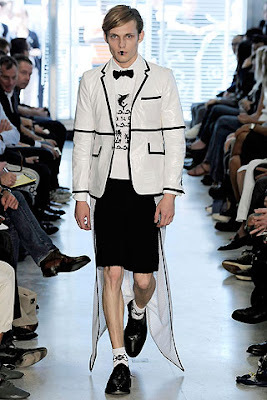 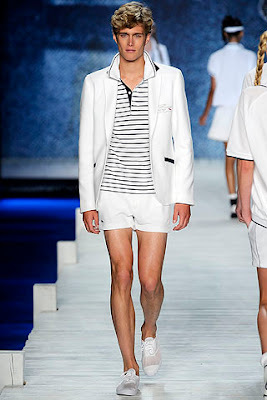 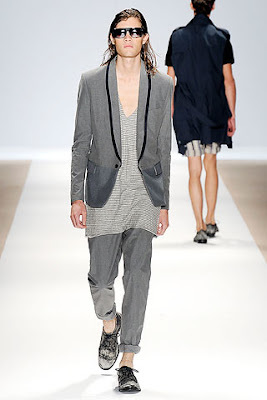 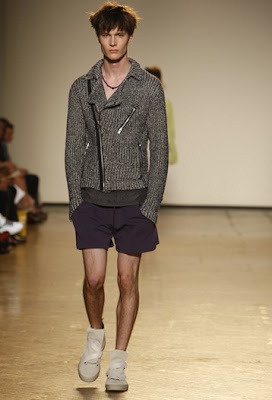 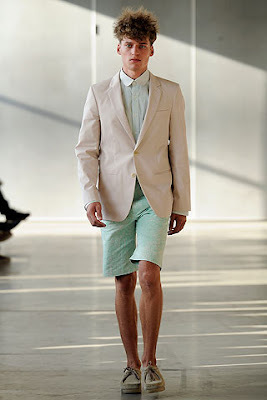 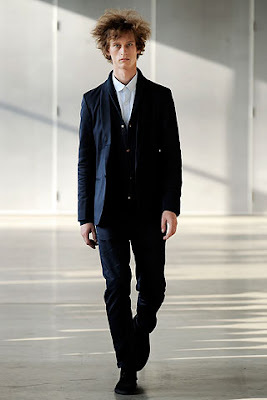 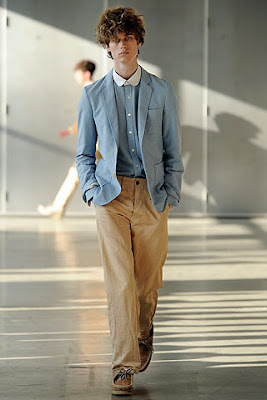 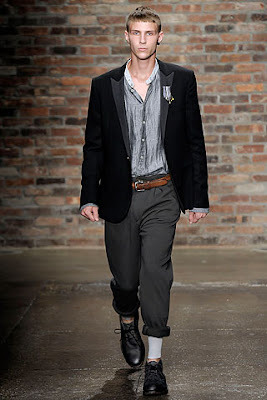 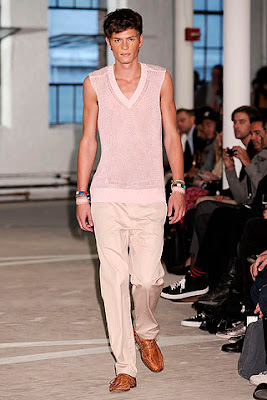 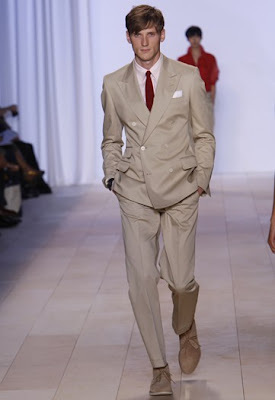 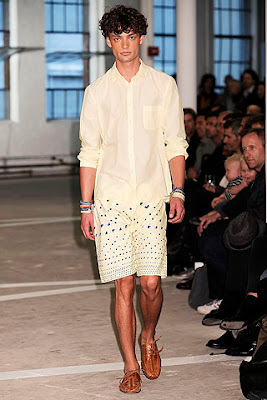 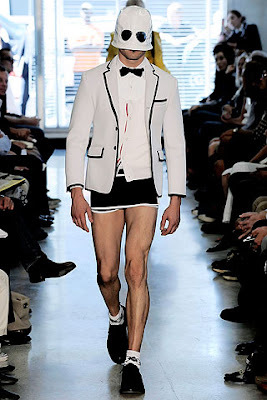 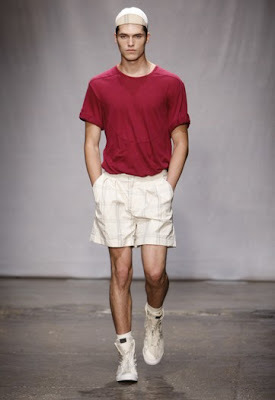 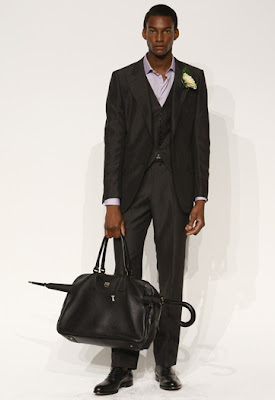 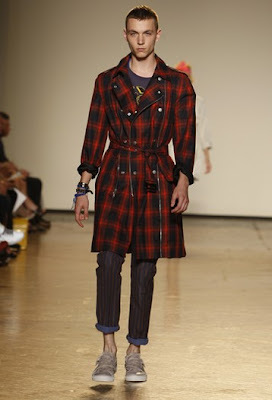 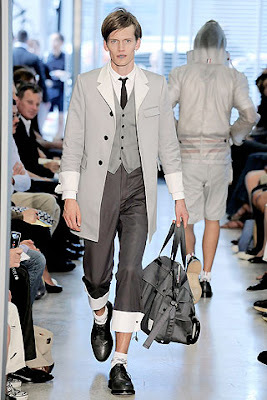 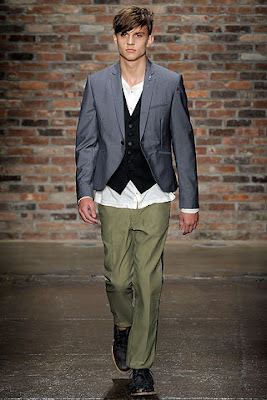 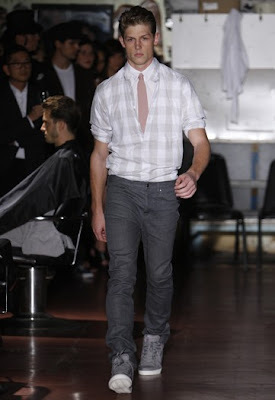 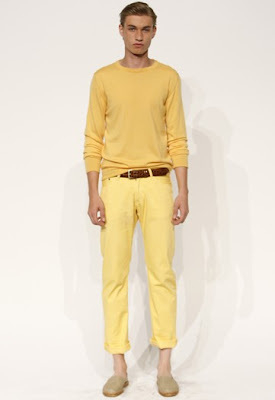 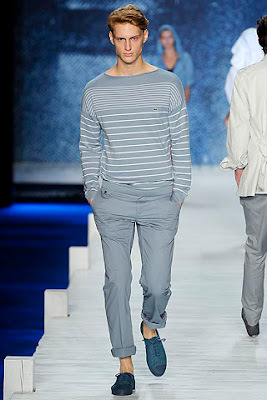 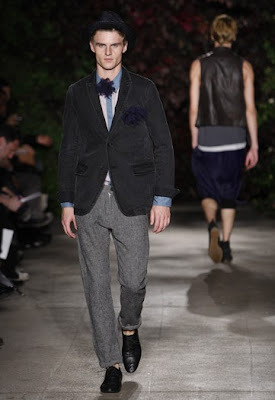 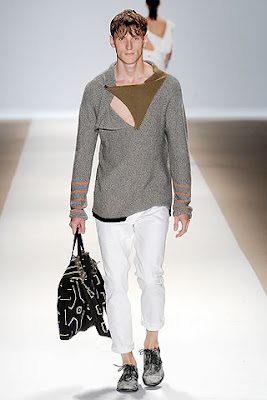 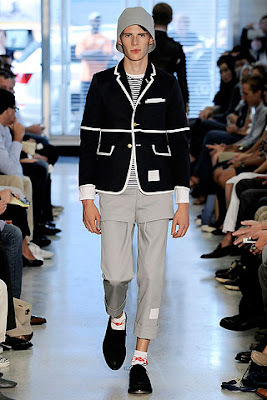 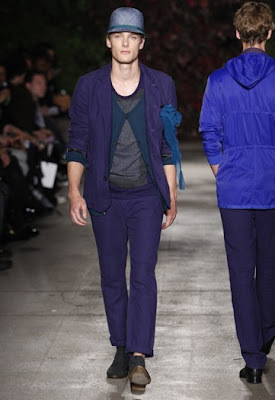 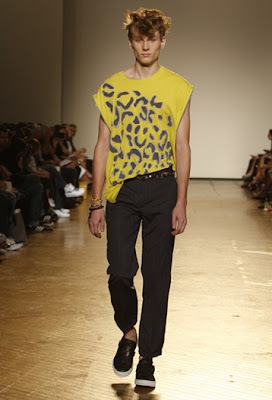 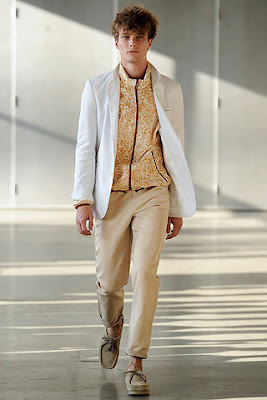 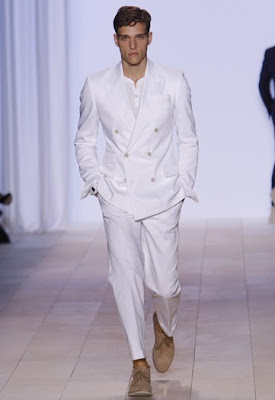 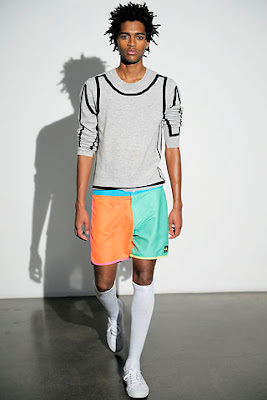 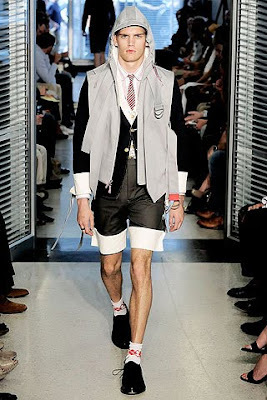 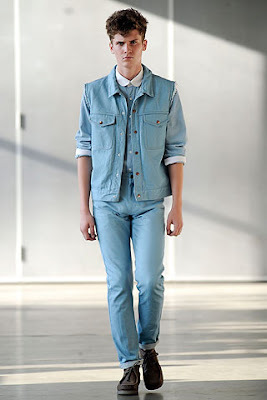 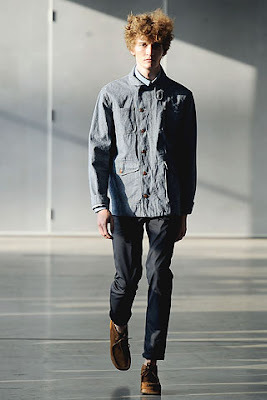 Here are the rundown of the men’s spring/summer 2010 at New York Fashion Week. 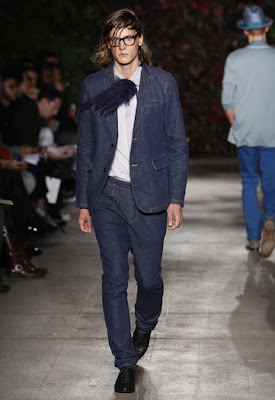 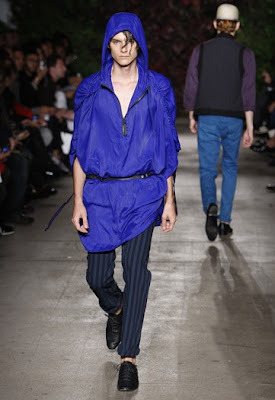 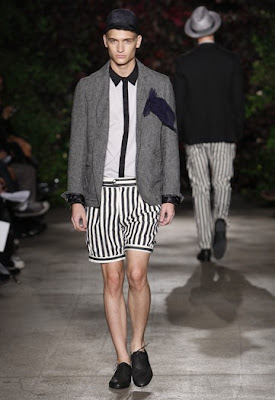 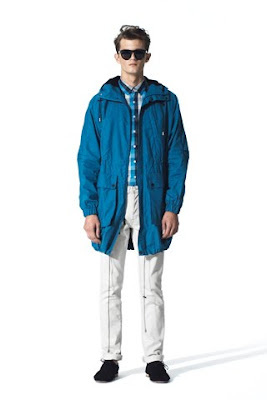 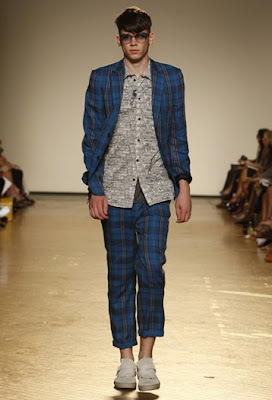 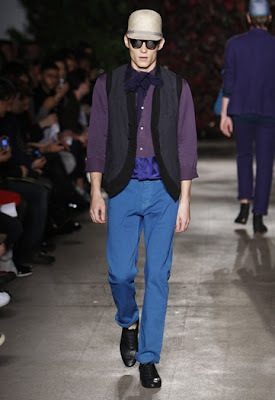 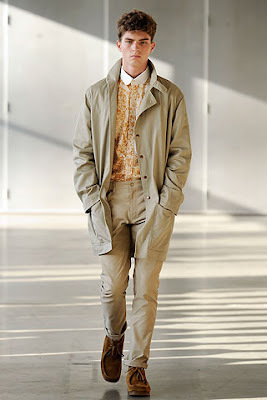 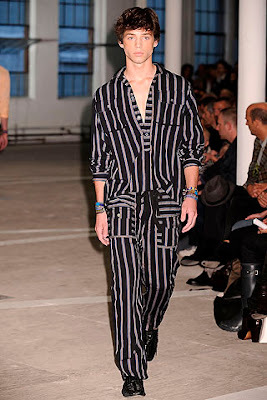 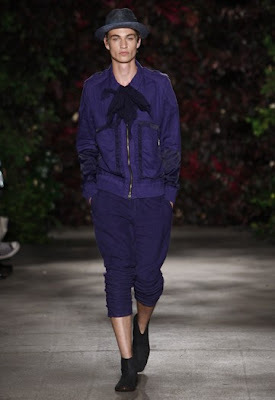 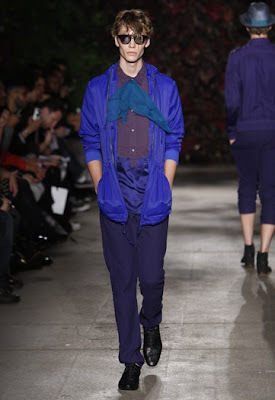 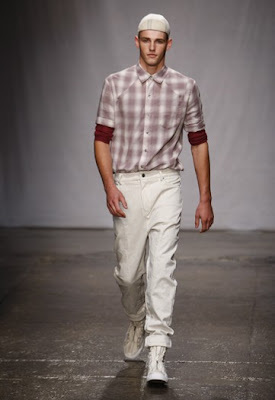 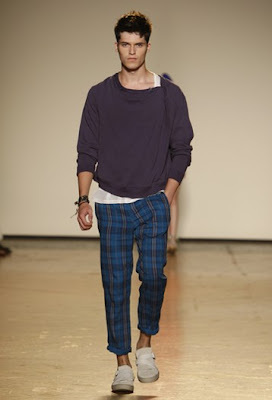 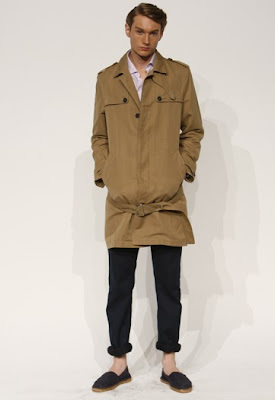 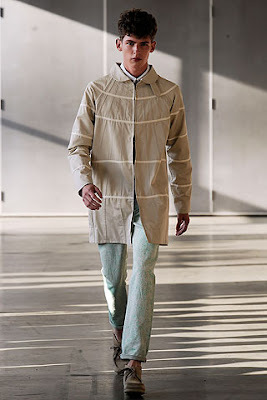 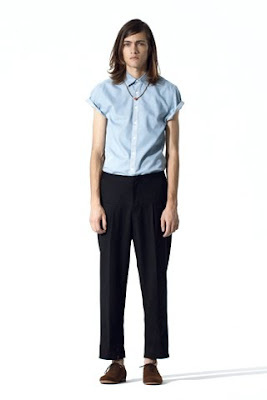 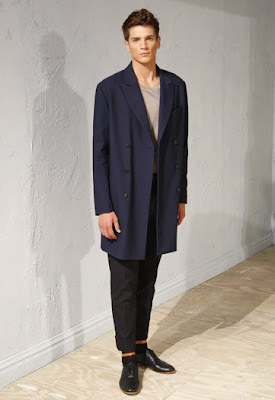 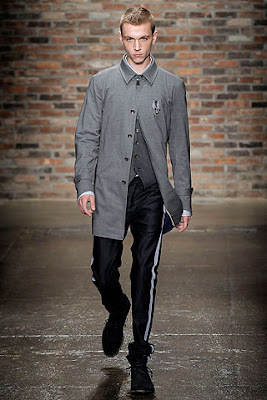 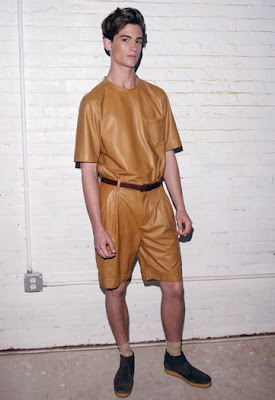 Band of Outsiders continued to show their schoolboy charms style in their collection. 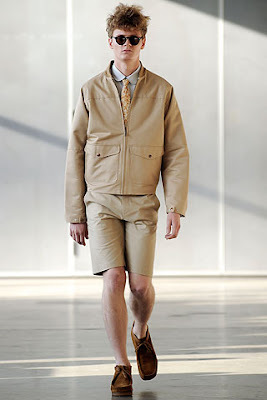 But this time they mixed it up with Jacques Costeau’s reference for mature relaxed look. 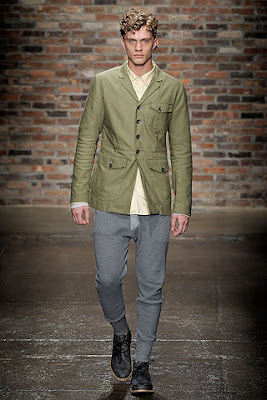 Common Wealth showed modern twist on the classics. 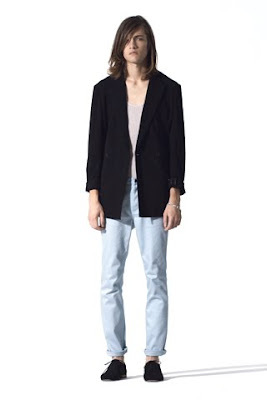 3.1. 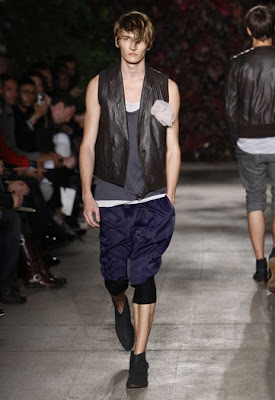 Philip Lim was inspired by beatniks so for spring/summer 2010 the colours are more moody and sober-blacks, navies, slates and camels. 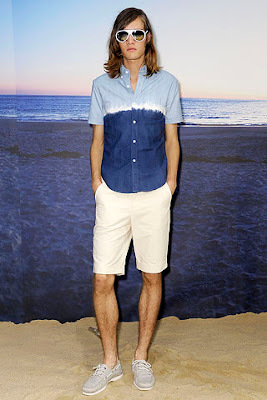 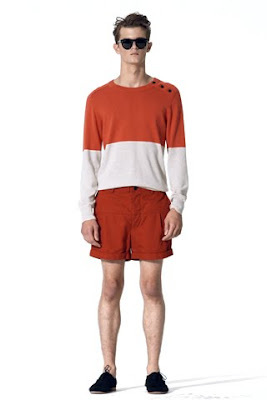 Loden Dager is all about Peruvian summer in monochromatic colours. 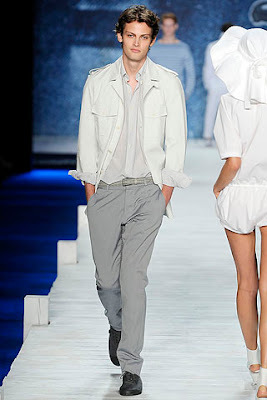 Marc Jacobs made homage to John Hughes for his Marc by Marc Jacobs. 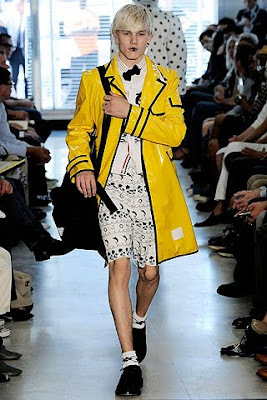 This made me giggle because I love Duckie. 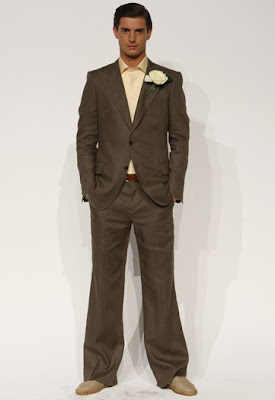 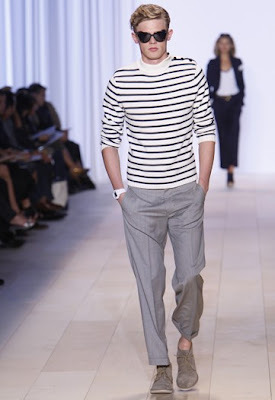 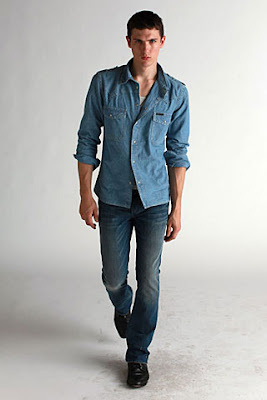 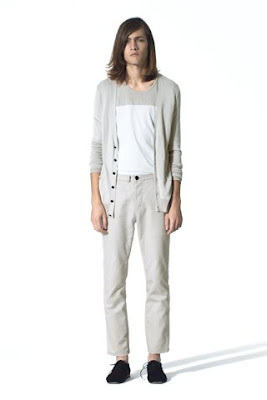 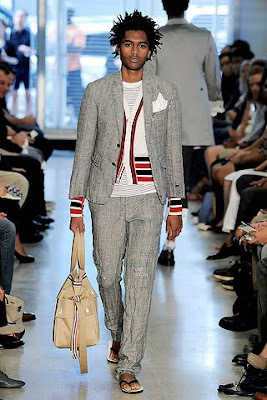 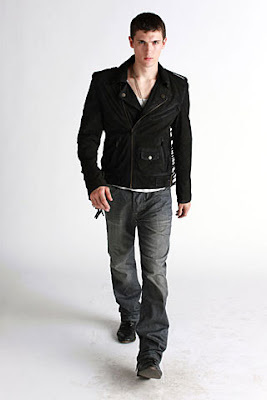 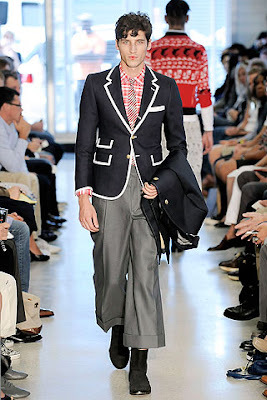 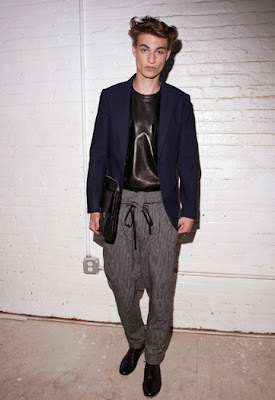 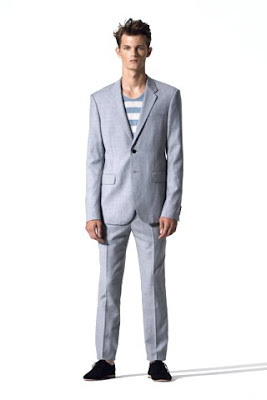 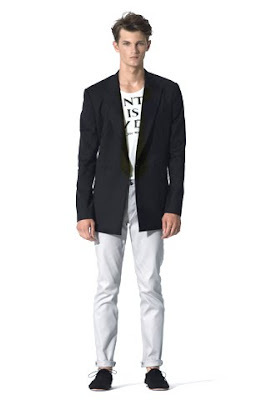 Michael Bastian continued his casual elegance style with very masculine tone. 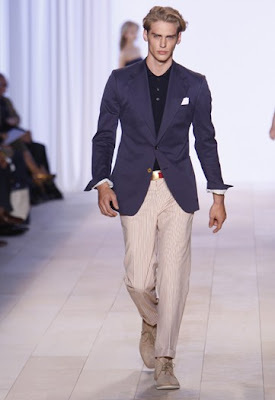 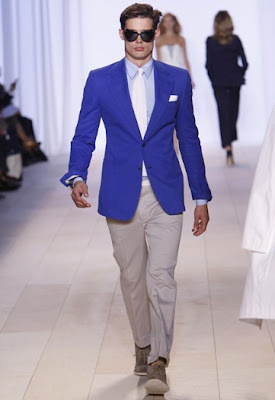 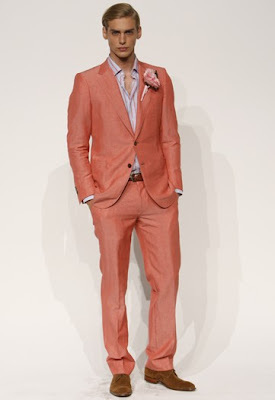 I think The Michael Bastian men are always what every man aspire to look like and every men & women aspire to be with. 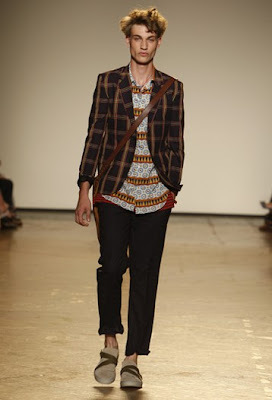 Patrick Ervell showed a collection based on boho Americana. 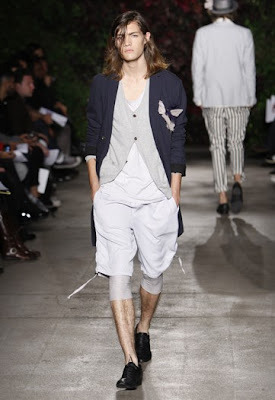 There are hints of Rick Owens influence at Richard Chai collection. 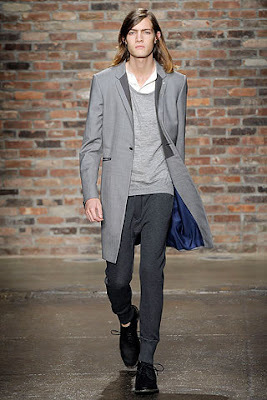 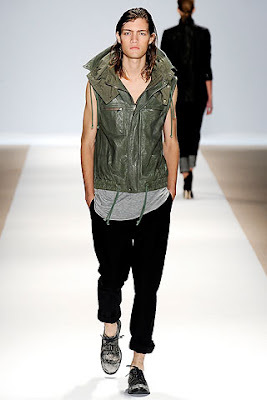 Great layering was seen at Robert Geller’s collection. 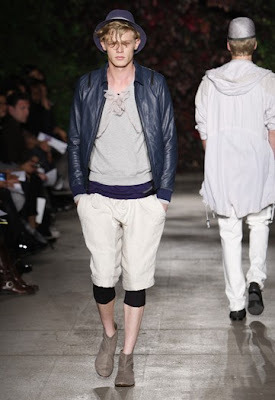 Leathers were layered over delicate cottons and leggings. 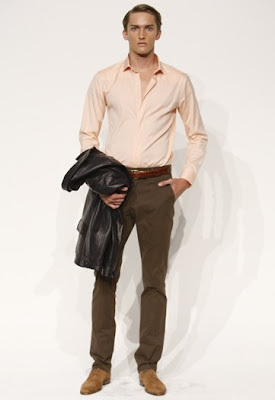 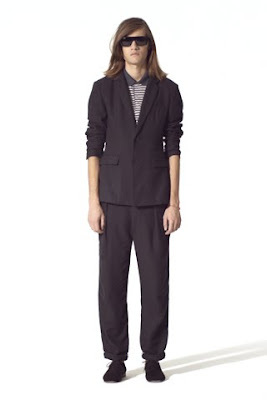 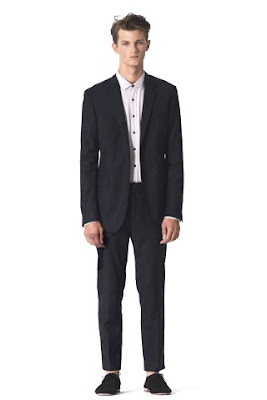 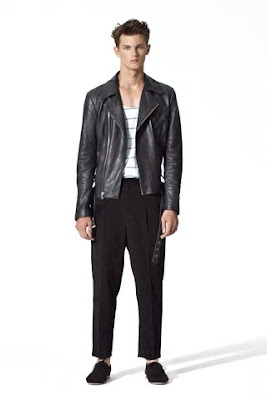 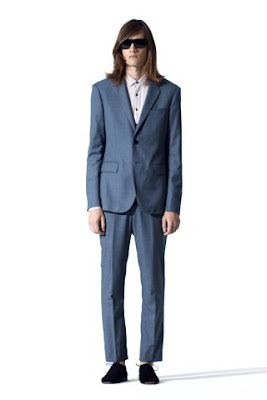 Spurr was inspired by male style icons of the late sixties. 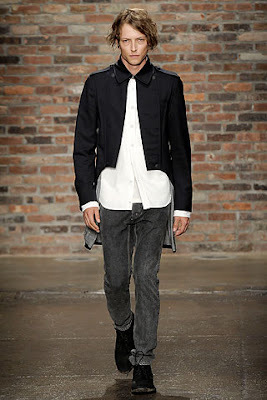 At Yigal Azrouël, the designer showed a lot of chunky sweaters, asymmetrical bomber jackets and gauzy cotton knits.